"She was crying the whole night. Suddenly her body turned blue and she started to breathe heavily. I thought she was dying, I took her to the hospital and begged the doctor to save her. Everyone asked me to take to a bigger hospital. We came to Delhi and we were in the streets for 20 days. We didn't know where to go and no one was there to help. I'm afraid that I have already lost all the time. I will not live if I can't take her back home with me." - Shanthi, mother of Anjali Kumari. 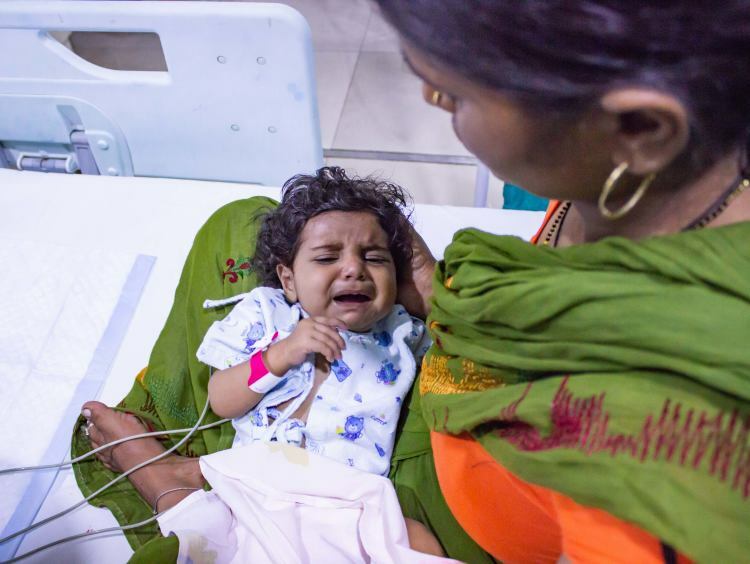 5-month-old baby Anjali has been fighting a very complex heart problem since her birth. 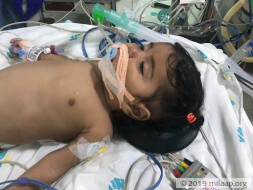 Unfortunately, her parents were not aware of it until she turned blue and developed extreme breathing troubles, a month ago. She has always been crying, nothing could console her. They have taken her to many local hospitals in Uttar Pradesh but none revealed about her condition. Medicines did not help her. 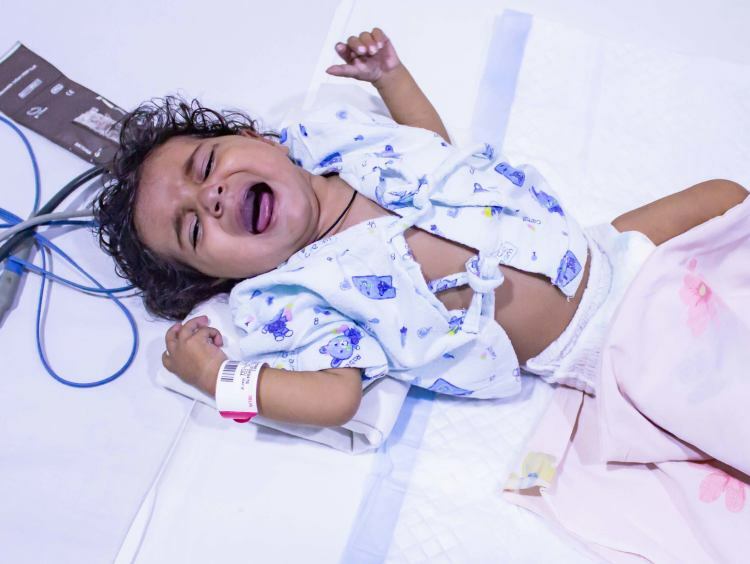 "Doctors say that she has only 3 chambers and 3 valves in her heart. Her oxygen level is only 49%. I do not understand the complications, all I know is that her life is at risk. We are not educated. We have never heard about this condition before. She used to cry a lot, my neighbors said some children are like that. I never even imagined that she was crying out of pain. I feel guilty. I can't bear to see her going through so much of pain." - Shanthi. Anjali weighs only 4 kilos. 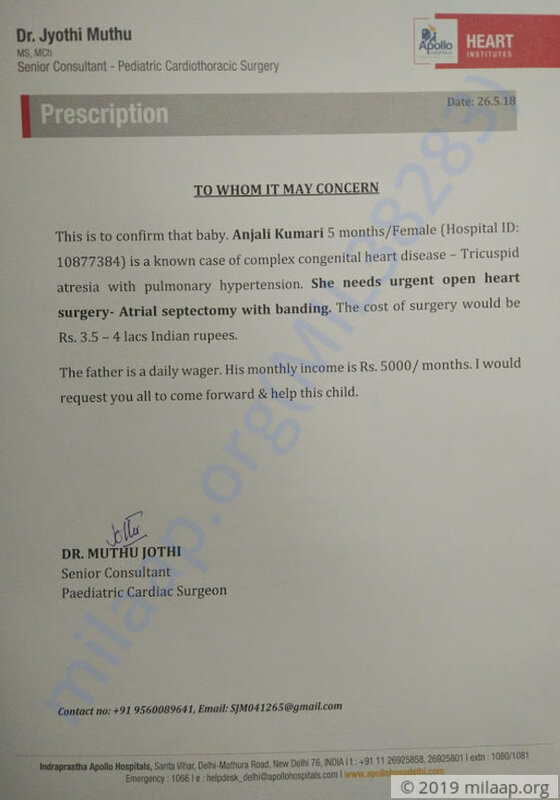 The pure and impure blood is mixed in her heart and urgent surgery has to be done to separate the impure blood. Her oxygen level is also extremely low and has lung congestion. If the surgery is delayed, it may result in further serious complications such as brain damage and even turn fatal too. "Doctors said that she can survive only if the surgery is done. She is just 5-months-old, I don't know how her tiny body an endure so much pain. She needs another surgery after 3 years to recover completely. She may not live up to 3 years if she does not have this surgery now. I have nothing in my hands to save her except my love and prayers but I know that is not enough. I feel terrible and cursed. Knowing that my child is losing her fie, I'm unable to do anything. " - Shanthi. Anjali's father Rajnish is a daily wage worker. He has come all the way to Delhi for his daughter's treatment and now he has no source of income. His elder son Suraj(3) is in his relative's place. Rajnish and Shanthi feel that they are completely lost. They do not know whom to turn to help. Little Anjali needs an urgent heart surgery, further delay will turn fatal. She needs 2 weeks of hospital stay post the surgery and has to continue with the medicines until the second surgery is done. Her parents are desperately waiting for a help. He earns Rs 5000 per month and has spent everything he had. He has no income now. 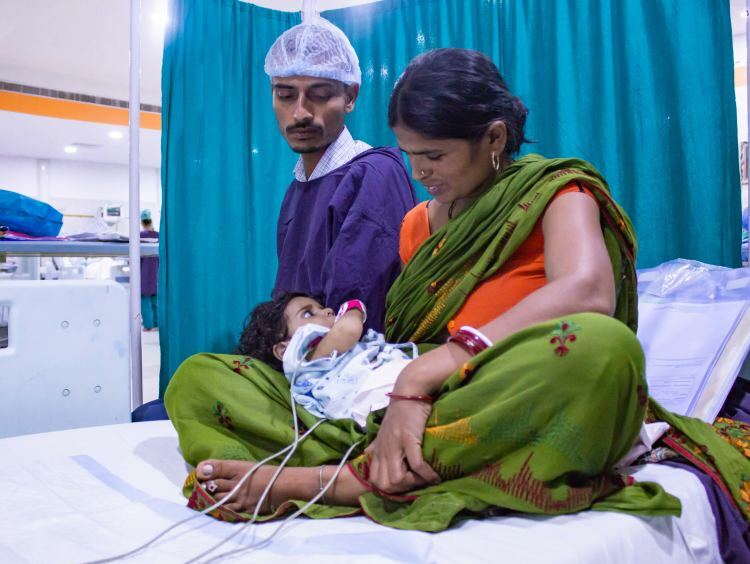 Surgery requires Rs 4 lakhs which is impossible for them to even think of. 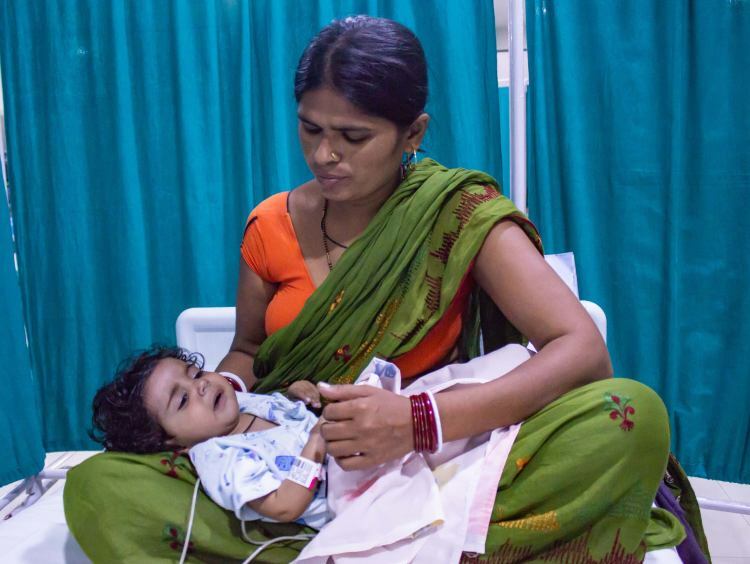 Baby Anjali is running out of time and may not survive without the surgery. "My wife and I are crying the whole day with no one to help or even console. I don't know whom to ask for help. I have no strength to even look at my daughter's face. She is crying all the time. She is dying, only a surgery can save her but I can't afford that. No father should ever face this situation." - Rajnish. 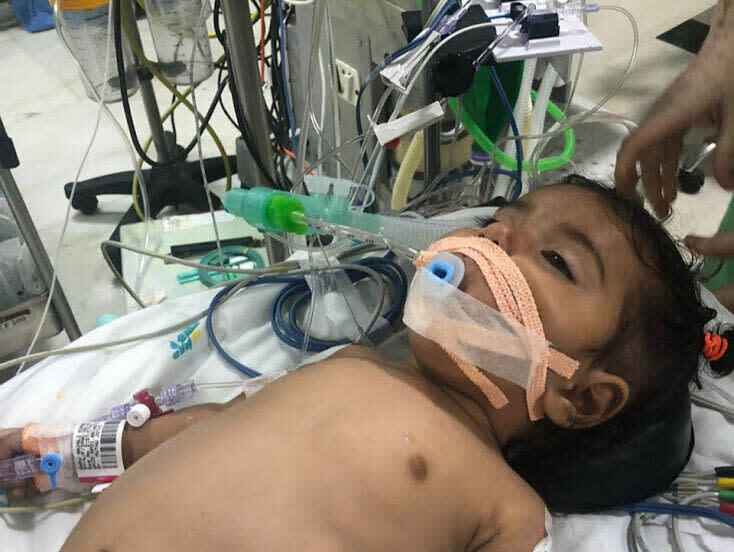 Thank you for the wonderful support that you have shown towards Baby Anjali. She is doing better now compared to earlier. She is presently stable and is on medication. She has been discharged from the hospital and has been recommended regular follow-ups until complete recovery. The family still has to clear the pending medical expenses, would request you to please share this campaign further with your friends and family to help them raise funds towards her treatment.